Mouse Computer recently introduced the availability of a powerful Gaming Laptop, named Nextgear-Note i720.The new Nextgear-Note i720 Gaming Laptop comes pre-installed with Windows 7 Home Premium OS and is available in 3 models:Nextgear-Note i720SA1, Nextgear-Note i720GA1 and Nextgear-Note i720BA1. All models of new Mouse Computer Nextgear-Note i720 Gaming Laptop comes equipped with a 15.6-inch LED backlit display with 1920 x 1080 pixel (Full HD) resolution and is housed with nVidia GeForce GTX460M graphics card with 1.5GB VRAM module alonf with Features like Wi-Fi 802.11a/b/g/n, Gigabit Ethernet (10/100/1000 Mbps), USB 3.0 port, 3 USB 2.0 ports, DVI and HDMI connection to external displays, S/PDIF, an ExpressCard slot, and eSATA port. Mouse Computer Nextgear-Note i720SA1 laptop comes powered with a 1.86GHz Intel Core i7-840QM quad-core processor along with 8 GB DDR3 RAM, 500GB HDD and a DVD drive. The 2nd model Nextgear-Note i720GA1 Laptop also is powered with a 1.86GHz Intel Core i7-840QM quad-core processor and 8 GB DDR3 RAM, but has included with 160GB Intel X25-M SSD and Blu-ray drive. Mouse Computer Nextgear-Note i720BA1 laptop is powered with a 1.73GHz Intel Core i7-740QM quad-core processor along with 4GB RAM and 500GB HDD. 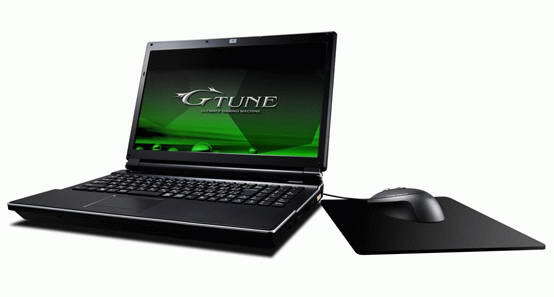 Tags:-Mouse Computer Nextgear-Note i720 Gaming Laptop models, Mouse Computer Nextgear-Note i720 Gaming Laptop specs, Mouse Computer Nextgear-Note i720 Gaming Laptop details, Mouse Computer Nextgear-Note i720 Gaming Laptop model price list, Mouse Computer Nextgear-Note i720 Gaming Laptop configuration. Toshiba recently introduced their all new world’s first battery powered LCD TV family, named Toshiba Power TV.The new Toshiba Power TV family of LCD TV's comes housed with integrated battery that capable of providing a display life of about 2 hours. 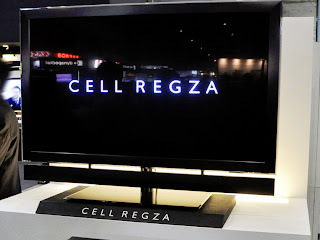 The new Power TV family of LCD TV's comes two models which is either a 24-inch or 32-inch models.According to Toshiba the new battery powered LCD TV's are developed for developing countries, where constant power failure is so common.Toshiba's battery powered Power TV is capable of providing un-interrupted display in such areas. New battery powered LCD TV from Toshiba features auto 'signal booster' which optimize image quality and strengthen signal coverage at areas of poor reception and ‘auto view’ option that included with an ambient light sensor capable of adjusting to the required brightness. 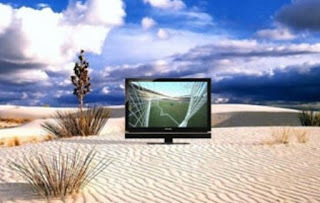 The new battery powered Toshiba Power TV LCD TV will be available for sale in selected markets of Asia by next year 2011 for a price tag of $290 for 24-inch LCD TV and the 32-inch model priced at $400. Tags:-world’s first battery powered LCD TV from Toshiba, Toshiba battery powered LCD TV, battery powered LCD TV from Toshiba, Toshiba Power TV LCD TV details, Toshiba Power TV LCD TV features, Toshiba Power TV battery powered LCD TV, battery powered LCD TV details, Toshiba battery powered LCD TV review, Toshiba battery powered LCD TV price, Toshiba battery powered LCD TV launch, Toshiba battery powered LCD TV availabiity, Toshiba battery powered LCD TV price tag. Toshiba recently brought to sale its all new Entertainment Laptop that belong to the Satellite line-up of notebooks, named as Toshiba Satellite A660-BT2G23.The new Toshiba Satellite A660-BT2G23 laptop is now available for a price tag that starts at $949. 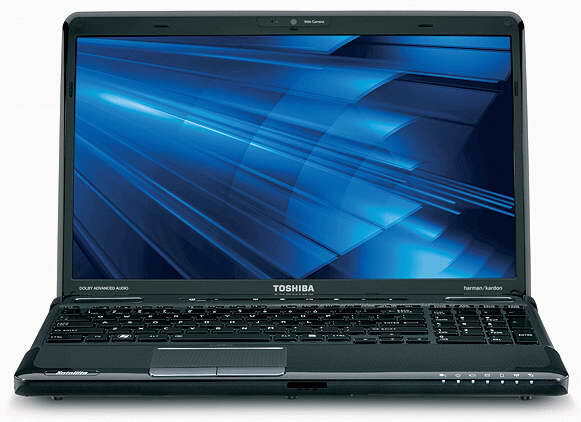 New Toshiba Satellite A660-BT2G23 notebook comes equipped with a 16-inch LED-backlit display with a resolution of 1366 x 768 pixels and is powered with a 1.73GHz Intel Core i7-740QM processor can be enhanced to 2.93 GHz with Turbo Boost Technology.The Toshiba Entertainment Laptop houses a NVIDIA GeForce GT 330M graphics card with 1GB of GDDR3 memory along with a support capacity of 8GB DDR3 SDRAM and up to 640GB HDD. All new Toshiba Satellite A660-BT2G23 Entertainment Laptop comes pre-installed with either Windows 7 Home Premium or Windows 7 Professional 64-bit OS.Features of new Toshiba Entertainment Laptop includes Glossy Black Tile keyboard, webcam, DVD writer or Blu-ray Combo or Blu-ray writer, Bluetooth, 802.11b/g/n Wi-Fi, 7-in-1 card reader and an HDMI connector.The laptop back-up power option includes either a 6-cell or 12-cell Lithium-Ion battery. Tags:-Toshiba Satellite Entertainment Laptop price, Entertainment Laptop Features, Entertainment Laptop Price tag, Entertainment Laptop Specs, Entertainment Laptop Specifications. Micromax recently introduced their first Android based affordable mobile handset, named Micromax Andro A60 in India.The new Micromax Andro A60 Android smartphone will be available from next month for a price tag of Rs. 6700 and even lesser up-to Rs. 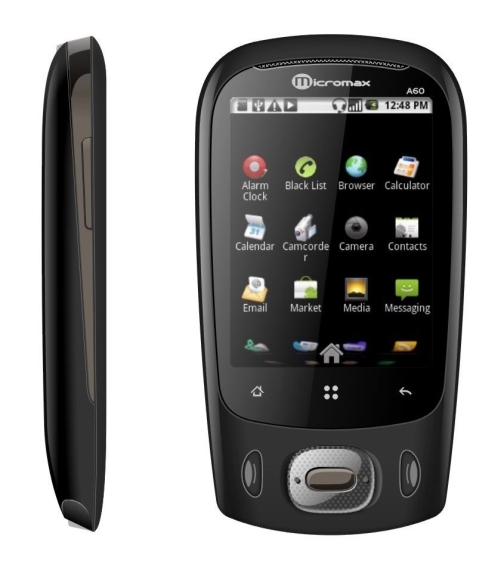 5700 and that makes Micromax Andro A60 the cheapest android handset in Indian market. About Specifications-The new Micromax Andro A60 Android handset comes equipped with a 2.8-inch full touchscreen display with 320x240 pixel resolution which is very small for an Android handset and is powered with a 600MHz CPU.Andro A60 handset runs on Google Android v2.1 OS . New Micromax Andro A60 Android handset Features 3.2 megapixel Auto-focus camera, High speed 3G with HSDPA, 150MB internal memory, WiFi, Bluetooth, GPS, Accelerometer, Gravity sensor, miniUSB, FM Radio, Music Player, 3.5mm headphone jack and a memmory card slot that supports up to 32GB card. 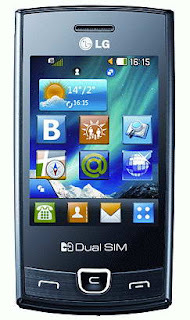 Tags:-Micromax Andro A60 Android Dual SIM Phone in India, Micromax Andro A60 Android handset, first Android handset by Micromax in India, low priced Android mobile phone in india, india low price android handset, Android Dual SIM Phone in India, low price Android Dual SIM Phone in India, Android Dual SIM GPS Phone in India, low price Android Dual SIM GPS Phone in India, Micromax Andro A60 handset price, Micromax Andro A60 phone features, Micromax Andro A60 phone details, Micromax Andro A60 phone launch. ASUS recently made the official announcement about the details of their new Ultra-Thin Notebook, named ASUS U41.The new ASUS U41 notebook comes enclosed within an aluminum finished lids with shades of either Silver or Black.The Notebook comes under Ultra-Thin series with a thickness of just 27 mm. New Asus U41 Ultra-Thin Notebook comes equipped with a 14-inch LED-backlit display with a 1366 x 768 pixel resolution and is powered with up to 2.66 GHz Intel Core i3 or i5 processor.The Asus U41 notebook supports up to 8GB RAM module and a 320GB – 640GB HDD.For graphics option the notebook houses a nVidia GeForce GT 425M GPU with 1GB VRAM. All new New Asus U41 Ultra-Thin Notebook Features 0.3-megapixel webcam, Wi-Fi, DVD burner, 4-in-1 card reader, D-Sub, HDMI, 3 USB ports and an optional Bluetooth.The Asus U41 notebook also features a Super Hybrid Engine, that increases the battery power by optimizing the balance between the performance and power consumption. New Asus U41 notebook comes pre-loaded with Windows 7 OS.The notebook weighs 2kg and its dimensions 33.8 x 25 x 2.54 cm.For battery option there will be a 6-cell 4400 mAh or an 8-cell 5600 mAh battery. Price details and launch date of new ASUS U41 Ultra-Thin Notebook is not reveled yet. 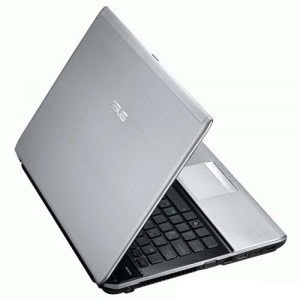 Tags:-ASUS U41 Ultra-Thin Notebook Features, ASUS U41 Ultra-Thin Notebook details ,ASUS U41 Ultra-Thin Notebook specs, ASUS U41 Ultra-Thin Notebook images, ASUS U41 Ultra-Thin Notebook price, ASUS U41 Ultra-Thin Notebook review, ASUS U41 Ultra-Thin Notebook preview, ASUS U41 Ultra-Thin Notebook specifications. 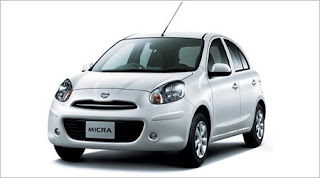 Nissan recently made the official that their new Nissan Micra Diesel will hit Indian roads on 10th December 2010.The new Nissan Micra Diesel comes available with a price that starts at Rs 5.2 lakh. New Nissan Micra diesel comes powered with a 1.5-litre dCI engine produces a maximum power of 63bhp and a peak torque of 16.3kgm.The diesel model has a height of 1525mm which is slightly less compared to petol model with 1530mm height. Nissan Micra Diesel gives a mileage of 23.08kpl and takes just 14.37 seconds to reach the 100kph mark. Nissan already started the booking of Micra diesel through its 20 Nissan dealers across india for an initial payment booking of Rs 50,000. Tags:-Nissan Micra Diesel launch date, Nissan Micra Diesel india price, Nissan Micra Diesel india price tag, Nissan Micra Diesel mileage, Nissan Micra Diesel specs, Nissan Micra Diesel varoents, Nissan Micra Diesel india release date. Toshiba recently introduced their new Android powered Mobile Internet Device, named Toshiba AC100 in Indian market.The new Toshiba AC100 MID based on Nvidia Tegra platform and is now available for sale in India for a price tag of Rs. 18,721. 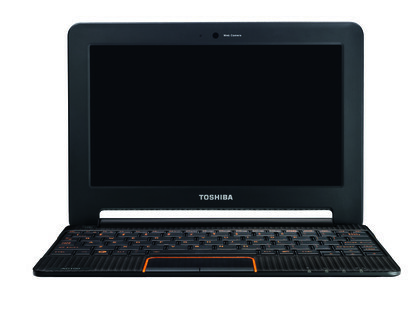 New Toshiba AC100 Laptop comes equipped with a 10.1-inch SuperView LED backlight display with a resolution of 1024x600 pixels supporting 1080p HD video and is powered with 1GHz dual-core ARM Core A9 processor.AC100 MID also houses 512MB DDR2 RAM and a 8GB Flash memory storage. All new Toshiba AC100 Mobile Internet Device Features 1.3 megapixel webcam, Wi-Fi 802.11 b/g/n, Bluetooth 2.1+EDR, Flash 10.1 support, Audio-Mic combo port, SD & MMC card reader, and HDMI Port, 1 USB port and 1 Mini-USB port. 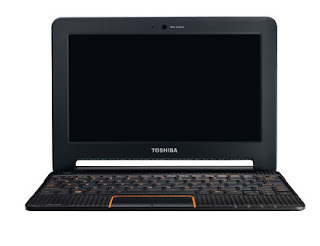 Toshiba AC100 MID Laptop runs on Google Android 2.1 Eclair OS.Toshiba AC100 weighs 870g and has a thickness of about 14mm at its thinnest point. Tags:-Toshiba AC100 MID india price, Toshiba AC100 MID india launch,Toshiba AC100 MID india details, Toshiba AC100 MID review, Toshiba AC100 MID specs, Toshiba AC100 MID features, Android powered Mobile Internet Device, Toshiba Android powered MID. Pioneer Computers recently made the sale availability of its all new 3D Multimedia Laptop, named DreamBook Power B51.New DreamBook Power B51 laptop comes available in black shade and the price tag starts at $1,100. New Pioneer Computers DreamBook Power B51 laptop comes equipped with a 15.6-inch display of either 1920 x 1080 or 1366 x 768 pixels resolution and supports 3D content.The new DreamBook Power B51 laptop processor options includes Intel Core i3, i5 and i7 processor.The laptop supports up to 8GB RAM module and either up to 1TB HDD or 256 GB SSD. 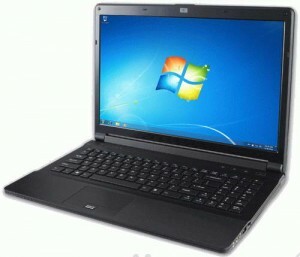 New DreamBook Power B51 3D Multimedia Laptop weighs 2.6 kg and its dimensions are 374 x 250 x 25-37 mm. 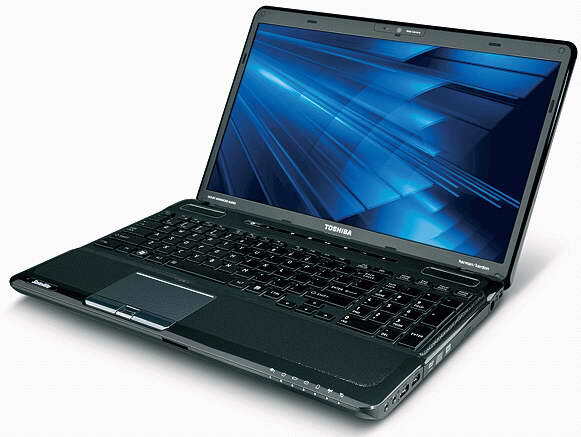 Tags:-Pioneer Computers DreamBook Power B51 3D Multimedia Laptop Features, Pioneer Computers DreamBook Power B51 3D Multimedia Laptop specs, Pioneer Computers DreamBook Power B51 3D Multimedia Laptop details, Pioneer Computers DreamBook Power B51 3D Multimedia Laptop. 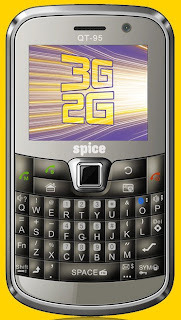 Spice Mobile recently made the availability of new 3G Dual-SIM handset, named Spice Mobile QT95.The new Spice Mobile QT95 3G Dual-SIM also features Dual-microSD card slot and is available now in India for an affordable price tag of just Rs. 5,499. Spice Mobile QT-95 handset is the first QWERTY 3G Dual-SIM phone ever launched in Indian market and comes in candybar form factor.The Spice QT-95 mobile equips a 220×176 pixel resolution display and includes a full QWERTY keyboard with an optical trackpad. 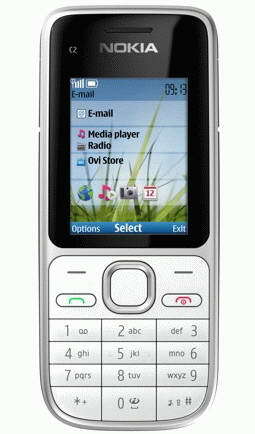 Spice QT-95 mobile phone Features .2 megapixel camera with video calling support, 3G, Bluetooth 2.1, EDGE, GPRS, 48MB internal memory and an FM radio with FM recording and scheduled recording support.The dual SIM 3G phone comes integrated with Facebook, Snaptu, Yahoo and Nimbuzz IM. 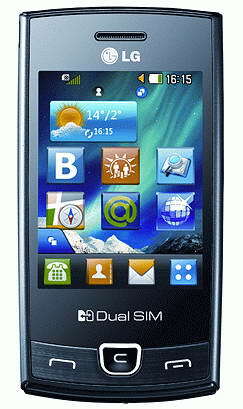 New Spice Mobile QT-95 3G Dual-SIM Dual-microSD Phone weighs 68g and its dimensions are 111 x 59 x 11.7 mm.The handset includes a 1000 mAh battery. 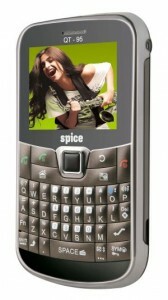 Tags:-Spice Mobile QT-95, Spice Mobile 3G Dual-SIM india price, Spice Mobile 3G Dual-SIM mobile in india, Spice Mobile 3G Dual-SIM price in india, Spice Mobile 3G Dual-SIM phone india price tag, Spice Mobile 3G Dual-SIM mobile features, Spice Mobile 3G Dual-SIM phone specs, Spice Mobile 3G Dual-SIM handset. 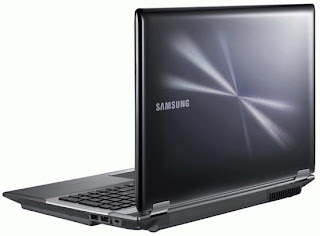 Samsung Electronics recently brougth to sales its all new RF series notebook,named Samsung RF510 in markets of Europe.The new Samsung RF510 notebook is based on Intel's new Calpella mobile platform and is now available for sale with a price tag of €899. All New Samsung RF510 notebook comes equipped with a 15.6-inch LED-backlit display with 1366 x 768 pixel resolution and is powered with a 2.53GHz Intel Core i5-460M processor.The RF510 Notebook houses a GeForce GT330M 1GB graphics card along with 4GB RAM module. 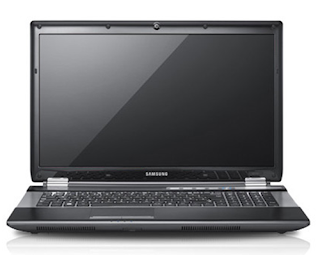 New Samsung RF510 notebook comes pre-installed with Windows 7 Home Premium (64bit) OS and Features a webcam, Bluetooth 3.0, Blu-ray combo drive, WiFi, Gigabit Ethernet, two USB 3.0 ports, an ExpressCard slot, 4-in-1 card reader and a 6-cell battery as back-up life provider. Tags:-Samsung RF510 Bluetooth 3.0 Notebook price, Samsung RF510 Bluetooth 3.0 Notebook features, Samsung RF510 Bluetooth 3.0 Notebook specs, Samsung RF510 Bluetooth 3.0 Notebook details, Samsung Bluetooth 3.0 USB 3.0 notebook, Samsung RF series notebook. Research In Motion (RIM) recently introduced its all new BlackBerry Bold 9780 smartphone in Indian market.The new BlackBerry Bold 9780 smartphone will be available in India for a price tag of Rs. 26,900 (about $588 or 440 euros). 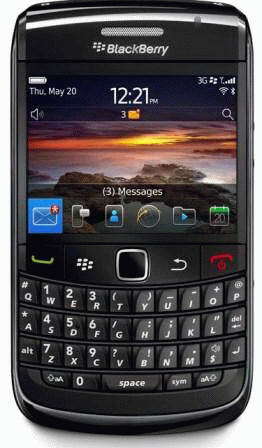 The new BlackBerry Bold 9780 smartphone runs on new BlackBerry OS 6 and is equipped with a 2.4-inch display of 480×360 pixel resolution.BlackBerry Bold 9780 smartphone Features 5-megapixel camera with LED flash, Wi-Fi, 3G, GPS with geo-tagging, 512 MB internal flash memory and a microSD card slot that supports up to 32GB card. BlackBerry Bold 9780 smartphone weighs 122g and its dimensions are 109 x 60 x 14 mm. Tags:-BlackBerry Bold 9780 smartphone india price, BlackBerry Bold 9780 smartphone india availability, BlackBerry Bold 9780 smartphone india details,BlackBerry Bold 9780 smartphone india release, BlackBerry Bold 9780 smartphone india specs, BlackBerry Bold 9780 smartphone launch in india, BlackBerry Bold 9780 smartphone price in india, BlackBerry Bold 9780 smartphone review, BlackBerry Bold 9780 smartphone india review. Sony Ericsson recently made the availability of new Xperia X8 smartphone in UK markets via O2.The new Sony Ericsson Xperia X8 smartphone is offered by O2 for free with a £10 per month contract. Sony Ericsson Xperia X8 smartphone comes equipped with a 3-inch full touchscreen display with a resolution of 320×480 pixels and runs on Google Android 2.1 OS.Xperia X8 smartphone Features includes 3.2 megapixel camera, Bluetooth, Wi-Fi and a 3.5mm audio jack.The smartphone weighs 104g has a diamension of 99 x 54 x 15 mm. 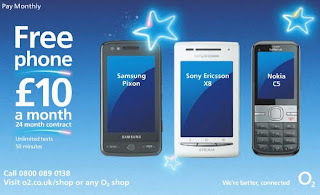 Tags:-Sony Ericsson Xperia X8 smartphone UK, Sony Ericsson Xperia X8 smartphone UK details, Sony Ericsson Xperia X8 smartphone free availability, Sony Ericsson Xperia X8 smartphone UK free details, Free Sony Ericsson Xperia X8 smartphone at o2, Sony Ericsson Xperia X8 smartphone features, Sony Ericsson Xperia X8 smartphone price, Sony Ericsson Xperia X8 smartphone. 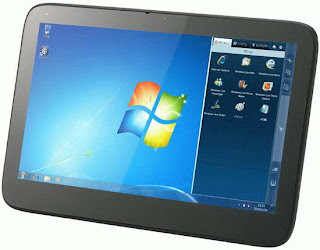 Though yet to be named Taiwanese manufacturer, Acer recently showed its upcoming Windows 7-based tablet during a recently held press event at New York.The new Acer Windows 7 tablet will be available by February 2011. New Acer tablet comes equipped with a 10.1-inch touchscreen display and is based on AMD platform.The Acer tablet runs on Windows 7 OS and Features two 1.3-megapixel cameras at both rear and front side, Wi-Fi, and 3G. Acer new windows-7 tablet comes bundled with a docking station.The tablet has a thickness of just 15 mm with 1kg of weight. 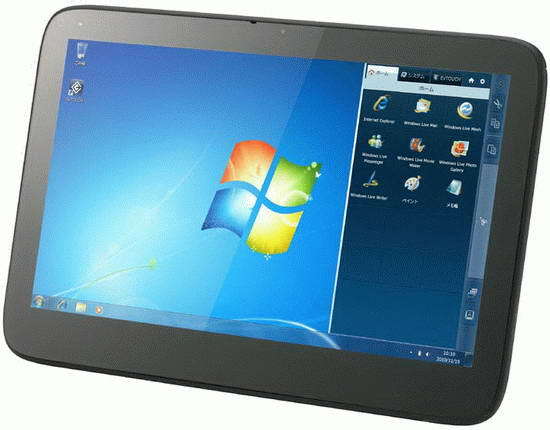 Tags:-Acer 10.1-inch Windows 7 tablet features, Acer 10.1-inch Windows 7 tablet specifications, Acer 10.1-inch Windows 7 tablet images, Acer 10.1-inch Windows 7 tablet details, Acer 10.1-inch Windows 7 tablet launch. Acer recently made the official announcement about the details of its hybrid dual-screen device, named Acer Iconia.The new Acer Iconia can be used as both laptop and as a Tablet.new Acer Iconia hybrid laptop / tablet device will be available for sale from 16th January 2011 in markets of UK for a price tag of £1,500. The new Acer Iconia dual-screen laptop/tablet comes equipped with two capacitive touchscreen displays of 14-inch each with a resolution of 1366x768 pixels along with multitouch capabilities.The first screen is the normal display of the notebook and the second one replace the keyboard of the laptop/tablet.The hybrid laptop/tablet of Acer comes powered with an Intel Core i5-480M/560M/580M processor along with an integrated Intel HD graphics card with 128MB VRAM. New Acer Iconia dual-screen laptop/tablet support up to 4GB DDR3 RAM and a a 320/500/640/750GB HDD.The Acer Iconia laptop/tablet Features Wi-Fi, Bluetooth 3.0+HS, 3G WWAN, Acer’s CrystalEye webcam (1280×1024 resolution), gigabit Ethernet, inbuilt microphone, a USB 3.0 port, two 2.0 ports, a S/PDIF interface, and VGA/HDMI outputs. All new Acer Iconia hybrid dual-screen laptop/tablet comes pre-installed with Windows 7 Home Premium 64-bit OS and has includes Acer Ring apps that ICONIA’s touch features and controls.The hybrid dual-screen Acer Iconia laptop/tablet also features Clear.fi which is a cloud-based system designed for enabling multi-format content over multi-platform devices designed by Acer. The four-cell battery of the Acer Iconia laptop/tablet devics provides 3 hours of life.As already said the launch of Acer Iconia hybrid dual-screen laptop/tablet will be by next year, ie 16th of January 2011 to be exact.The Iconia hybrid laptop/tablet comes with a price of £1,500. Tags:-Acer Iconia hybrid dual-screen laptop/tablet price, Acer Iconia hybrid dual-screen laptop/tablet launch, Acer Iconia hybrid dual-screen laptop/tablet availability, Acer Iconia hybrid dual-screen laptop/tablet launch date,Acer Iconia hybrid dual-screen laptop/tablet release, Acer Iconia dual-screen laptop/tablet official details, Acer Iconia hybrid dual-screen laptop/tablet specifications, Acer Iconia hybrid dual-screen laptop/tablet price tag, Acer Iconia dual-screen laptop/tablet price details, Acer Iconia hybrid dual-screen laptop/tablet comfiguration, Clear.fi cloudy system tablet, Acer Clear.fi cloudy system. Dell recently made the pre-order availability of its all new convertible netbook, named Dell Inspiron Duo.The new Dell Inspiron Duo convertible netbook is actually a tablet/netbook hybrid now available at Microsoft Store for a pre-order price tag of $549. The all new Dell Inspiron Duo convertible netbook comes equipped with a 10.1-inch LED-backlit capacitive touchscreen display with a resolution of 1366 x 768 pixels which is flippable and can be used either as tablet or as netbook.The inspiron Duo convertible netbook comes powered with 1.5GHz Atom N550 dual-core Processor and a GMA 3150 integrated graphics card.The convertible netbook houses 2GB DDR3 RAM and a 320GB SATA HDD. 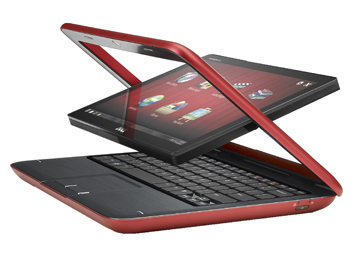 New Dell Inspiron Duo convertible netbook Features multitouch, 1.3 megapixel webcam, Broadcom Crystal HD chip that allows 1080p video playback, chiclet keyboard, Bluetooth, Wi-Fi, 10/100 LAN and a memory card reader (SD/SDHC/MMC).The Dell Inspiron Duo convertible tablet/netbook comes pre-loaded with Windows 7 Home Premium OS. Dell Inspiron Duo convertible netbook houses a 4-cell lithium-ion battery capable of providing 4 hours of life.The convertible netbook weighs 1.53 kg and its dimensions are 284.98 x 194.56 x 28.70 mm. Tags:-Dell Inspiron Duo convertible netbook price, Dell Inspiron Duo convertible netbook features, Dell Inspiron Duo convertible netbook specs, Dell Inspiron Duo convertible netbook details, Dell Inspiron Duo convertible netbook price tag, Dell Inspiron Duo convertible netbook pre-order, Dell new tablet/netbook hybrid. Nokia C2-01,Nokia's cheapest 3G Phone just made official by Nokia.The new Nokia C2-01 3G handset comes with a price tag of €70(about$ 96)(about Rs.4300) and will be available for sale from beginning of 2011. New Nokia C2-01 has a candybar form factor and comes equipped with a 2-inch TFT LCD display with resolution of 320 x 240 pixels (QVGA).The Features of new Nokia C2-01 handset includes 3.2-megapixel camera, Bluetooth 2.1 EDR, music player, FM radio with RDS, 3.5mm headphone jack (shared with video output), 46 MB internal memory and a microSD/microSDHC card slot capable of supporting up to 16GB card. 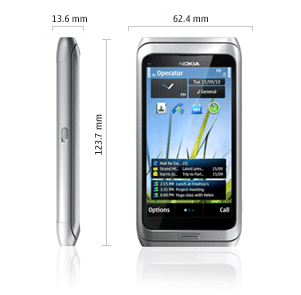 About the OS the new C2-01 is based on the Series 40 OS.The Nokia X2-01 battery is capable of providing a 4.5 hours of talk time life and about 18 days of standby life in 3G.The handset weighs 89gram and its dimensions are 109.8 x 46.9 x 15.3 mm. LG recently introduced its all new tablet, named LG E-Note H1000B in Korean market.The new LG E-Note H1000B tablet priced at 961,000 won (about $847) from South Korean carrier, KT (including WiMAX modem). New LG E-Note H1000B tablet comes equipped with a 10.1-inch resistive touchscreen display with 1366 x 768 pixel resolution and is powered with either 1.1GHz Intel Atom Z510 or 1.6GHz Intel Atom Z530 processor.The tablet houses a 1GB RAM and 16GB SSD. All new LG E-Note H1000B tablet runs on Windows 7 Starter Edition OS and Features Bluetooth 3.0, 802.11b/g/n WiFi, SDHC card slot, two USB ports, and a 4-cell battery as power option.The optional features includes WiMAX (use USB dongle), Windows 7 Professional OS and a docking-station stand. LG E-Note H1000B tablet weighs 850g and its dimensions are 278.5 x 180.5 x 14.5 mm. 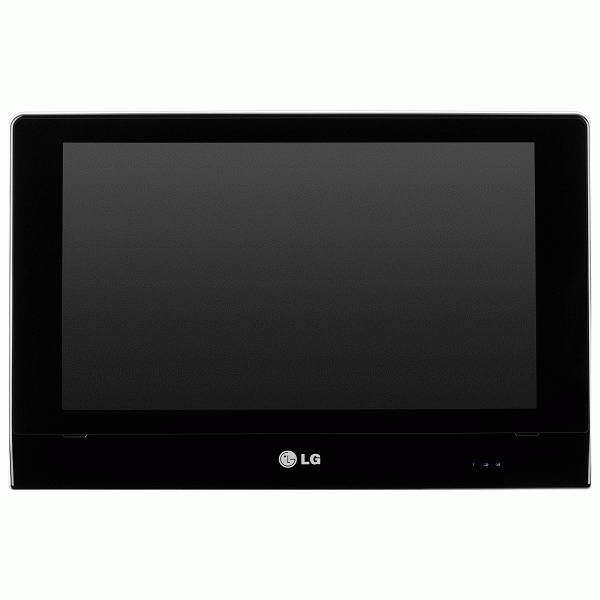 Tags:-LG E-Note H1000B tablet, LG E-Note H1000B tablet price, LG E-Note H1000B tablet features, LG E-Note H1000B tablet specs, LG E-Note H1000B tablet price tag, LG E-Note H1000B tablet price details, LG E-Note tablet, LG E-Note tablet details, LG E-Note tablet specs, New LG tablet price, LG E-Note tablet availability. LG Electronics recently made the availability of a new touchscreen Dual SIM handset in markets, named LG P520(LG Terry).The new LG P520 dual SIM Touchscreen Phone will be available in Russian markets soon for a price tag of about 6,990 rubles. New LG P520(LG Terry) mobile phone comes equipped with 2.8-inch touchscreen TFT display with a resolution of 240 x 400 pixels and is designed in candy bar form factor.The handset provides simultaneous supports of two network operators with two SIM cards in its dual SIM card slots. All new LG P520(LG Terry) handset Features 2 megapixel camera, Bluetooth 2.1 with A2DP, MicroUSB 2.0 port, 15MB internal memory, FM radio with RDS, media player (MP3/WMA/AAC MP4/H.263), 3.5mm headphone jack and a MicroSD card slot that support up to 4GB Card. New LG P520 handset comes included with Opera Mini 5.0 web browser, widgets for social networks like facebook, classmates, etc, instant email delivery technology. LG P520 Dual SIM handset is designed to support GSM 850/900/1800/1900 MHz networks.The 1500 mAh battery of the handset provides about 9 hours of talk time life.LG Terry handset weighs 120g and its dimensions are 108.9 x 55.9 x 12.9 mm. Tags:-LG P520 Dual SIM Touchscreen Phone price tag, LG P520 Dual SIM Touchscreen Phone features, LG P520 Dual SIM Touchscreen Phone details, LG P520 Dual SIM Touchscreen Phone Specifications, LG Terry handset features. HP recently started the direct sale of unlocked version of its all new Palm Pre 2 GSM Smartphone in US market.The new GSM unlocked Palm Pre 2 smartphone is now available for a price tag of $449.99 and will be shipped within an hour. The new Palm Pre 2 smartphone comes equipped with a 3.1-inch HVGA multitouch display with 320×480 resolution (HVGA) and is powered with a 1GHz processor.The smartphone features 5-megapixel camera, slide-out QWERTY keyboard, Wi-Fi 802.11b/g and Bluetooth 2.1 + EDR with A2DP. 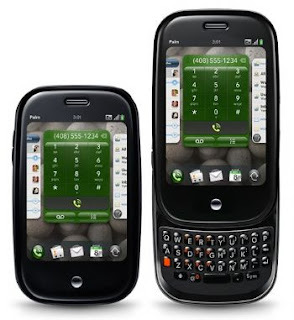 Palm Pre 2 smartphone has an internal memory of 16GB and runs on webOS 2.0.The Palm Pre 2 smartphone weighs 145 grams and its dimensions are 59.6 x 100.7 x 16.9 mm. Tags:-Palm Pre 2 GSM unlocked price, Palm Pre 2 GSM unlocked availability, Palm Pre 2 GSM unlocked launch, unlocked Palm Pre 2 GSM smartphone, unlocked Palm Pre 2 in US, unlocked Palm Pre 2 US price, unlocked Palm Pre 2 US availability. LG Electronics recently launched its all new Android Smartphone, named LG Optimus One in Indian market.The new LG Optimus One handset is now available in India for a price tag of Rs 13,500. The all new LG Optimus One (LG Optimus One P500) smartphone comes equipped with a 3.2-inch HVGA Capacitive touchscreen display with a resolution of 320×480 pixels and is powered with a 600 MHz processor.LG Optimus One handset runs on Google Android 2.2 (froyo) OS. New LG Optimus One smartphone features 3 megapixel Autofocus camera, 3G HSDPA, Wi-Fi, GPS with A-GPS support, Bluetooth 2.1+EDR, Wireless LAN WiFi b/g, GPRS/EDGE, G Sensor/Proximity Sensor, Digital Compass, FM Radio and 3.5mm audio jack.The handset has a 170MB internal memory and a microSD card slot capable of supporting up to 32GB card. LG Optimus One smartphone comes integrated with Google Mobile Services and is designed to support Quad band GSM,3G HSDPA.The 1500mAh battery of the handset provides almost 8 hours (2G)/7.5 hours(3G) of talk time life and 770 hours (2G)/550 hours(3G) of standby time. Tags:-LG Optimus One Price in India, LG Optimus One Smartphone india price, LG Optimus One Smartphone price tag, LG Optimus One Smartphone india price details, LG Optimus One Smartphone india availability, LG Optimus One Smartphone india launch, LG Optimus One Smartphone features, LG Optimus One Smartphone india launch details, LG Optimus One Smartphone india Specs, LG Optimus One Smartphone india details. Panasonic recently introduced a new 103 inch 3D Plasma TV, named Panasonic TH-P103MT2.The new Rs. Panasonic TH-P103MT2 3D Plasma TV will be available for pre-order from November 18 onwards in Japanese market for a price tag of 8,500,000 Yen ($ 102,000). The new Panasonic TH-P103MT2 supports 3D playback with full HD resolution and Features 5,000,000: 1 contrast ratio, 24Hz image processing, improved luminous efficiency.The Panasonic 103 inch 3D Plasma TV comes bundled with pair of 3D glasses.Panasonic TH-P103MT2 103 inch 3D Plasma TV weighs 320 kgs and consumes 1350 Watts of power. 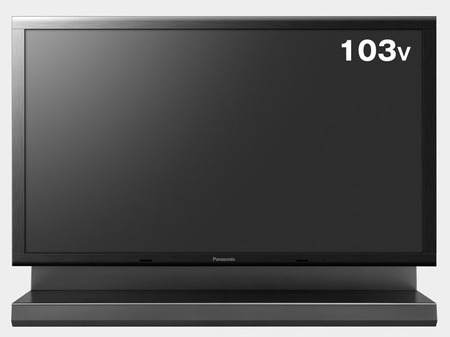 Tags:-Panasonic TH-P103MT2 103 inch 3D Plasma TV price, Panasonic TH-P103MT2 103 inch 3D Plasma TV features, Panasonic TH-P103MT2 103 inch 3D Plasma TV details, Panasonic TH-P103MT2 103 inch 3D Plasma TV specs. Mahindra and Mahindra, one of the most successful SUV automaker now on its way to Re-Introduced its Thar SUV once again in Indian market.Mahindra already started the production of Mahindra Thar in its Mumbai unit and is expected to launch by December 2010. Mahindra Thar is pretty much targetd to off-froad lovers aming at adventurous youth.About the engine the new Mahindra Thar comes powered with a 2498cc, CRDe Diesel engine producing a maximum power of 105 Bhp @ 3800 rpm and a peak torque of 247 Nm @ 1800 rpm. 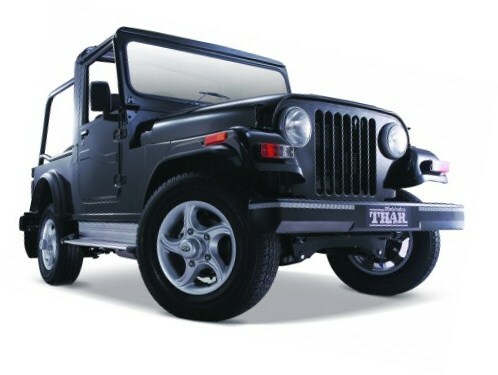 As said the new Mahindra Thar will hit roads by December 2010 with a price tag that comes in the range around Rs. 7,00,000. Tags:-Mahindra Thar, Mahindra Thar re-launch, Mahindra Thar price, Mahindra Thar re-introduced, new Mahindra Thar price, Mahindra Thar price, Mahindra Thar features, Mahindra Thar specifications, Mahindra Thar details, Mahindra Thar price tag, Mahindra Thar engine, Mahindra Thar images, Mahindra Thar stills, Mahindra Thar photogallery. Kingston recently introduced a new rugged flash drive in UK markets, named Kingston DataTraveler R500.The new Kingston DataTraveler R500 flash drive comes enclosed within a rubberized casing which is scratch resistant and adds more grip. New Kingston DataTraveler R500 USB flash drive has USB 2.0 interface and provides a maximum read/write speed of about 30MB/s and 20MB/s, respectively.The Kingston DataTraveler R500 rugged flash drive co0mes in capacities of 16GB, 32GB and 64GB. Kingston DataTraveler R500 has a dimension of 70 x 22.68 x 12.40 mm. Kingston DataTraveler R500 16GB model priced at €36.40 ($49), the 32GB model is priced at €70.50 ($96) and the 64GB version comes with a price tag of €162.38 ($221). Tags:-rugged flash drive, Kingston rugged flash drive, Kingston DataTraveler R500 rugged flash drive features, Kingston DataTraveler R500 rugged flash drive versions, Kingston DataTraveler R500 rugged flash drive version price tags. 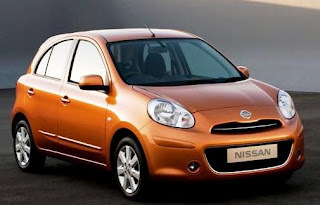 Nissan on its way to bring the Diesel version of its successful Nissan Micra in India.Its expected that the new Nissan Micra Diesel will hit Indian markets in a few days from now.Nissan already started the booking availability of new Nissan Micra Diesel. The new Nissan Micra Diesel comes powered by 1461cc diesel engine which develops maximum power of 65 Bhp and a peak torque of 160 Nm.The engine is mated with 5-speed manual gearbox. 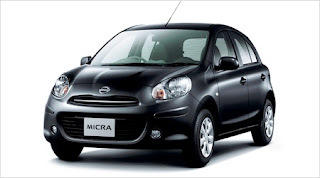 Nissan Micra Diesel comes available in 2 varient options:Nissan Micra Diesel XV and Nissan Micra Diesel XV Premium.The Premium version has extra features like automatic climate control system, push button engine start/stop system, alloys, keyless entry and biege interiors. Nissan claimed that the new Nissan Micra Diesel provides a mileage of 23 kmpl. Nissan started taking the booking order of both variants of new Nissan Micra Diesel.Customer can book with an initial payment of Rs 50,000 through 20 Nissan dealerships across India.Even though the official announcement about the price is not made yet but we expected that the price of new Nissan Micra Diesel will be in the range of 6-6.5 lakhs. Tags:-Nissan Micra Diesel specs, Nissan Micra Diesel mileage, Nissan Micra Diesel launch in india, Nissan Micra Diesel booking details, Nissan Micra Diesel varients, Nissan Micra Diesel power, Nissan Micra Diesel colors, Nissan Micra Diesel shades, Nissan Micra Diesel specs, Nissan Micra Diesel engine specs, Nissan Micra Diesel price, Nissan Micra Diesel india price, Nissan Micra Diesel price in india. 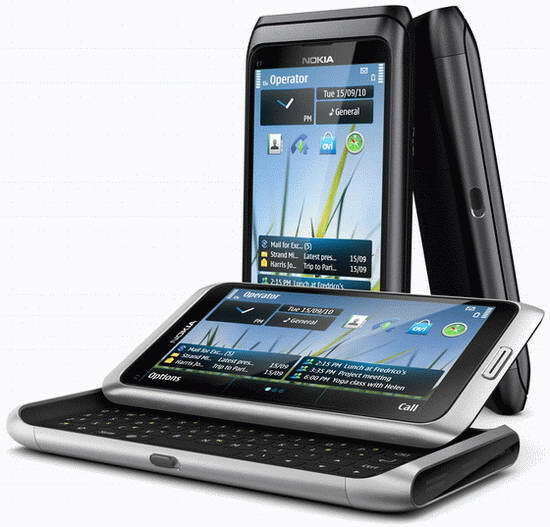 Nokia recently announced that their stylish Symbian^3 smartphone, Nokia E7 will hit Indian market by January next year.Its expected that the price of new Nokia E7 in India will be around Rs 30,000. New Nokia E7 comes equipped with a 4-inch AMOLED ClearBlack touchscreen display with 360 x 640 pixel resolution and houses an 8MP autofocus camera that features Dual LED flash, Face recognition software, 2x digital zoom, Fullscreen 16:9 viewfinder, Geotagging and Photo editor. Other Features of Nokia E7 includes full QWERTY keyboard, Secondary VGA camera, 720p HD video recording, Bluetooth 3.0, GPS, 802.11b/g/n Wi-Fi, 3.5mm audio jack, 16GB internal memory and a microSD / microSDHC card slot that support up to 32 GB. 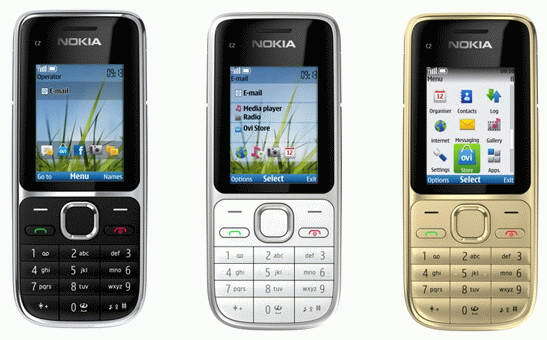 Tags:-Nokia Bluetooth 3.0 handset, Bluetooth 3.0 mobile phone in india, india nokia Bluetooth 3.0 handset, mobile phone with Bluetooth 3.0, nokia india Bluetooth 3.0 mobile phone, Nokia E7 india price, Nokia E7 india price tag, Nokia E7 india launch, Nokia E7 india features, Nokia E7 india launch date, Nokia E7 india specs. 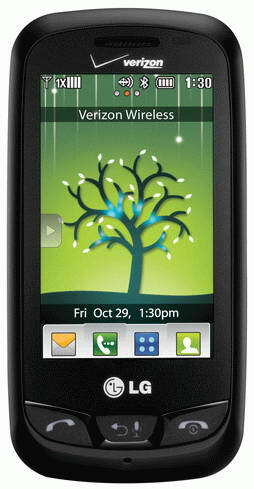 Verizon recently made official about the price details of its new LG Smartphone, named LG Cosmos Touch.The new LG Cosmos Touch handset is a slider QWERTY touchscreen phone and will be available for sale both online and in stores by November 18, 2010 and is priced at $79.99 after a $50 mail-in rebate with a new 2-year contract. The new LG Cosmos Touch Smartphone comes equipped with a 2.8-inch WQVGA touchscreen display and features 1.3 megapixel camera with image editor, Bluetooth 2.1, a slide-out 4-line QWERTY keyboard and a microSD card slot that support up to 16GB card. 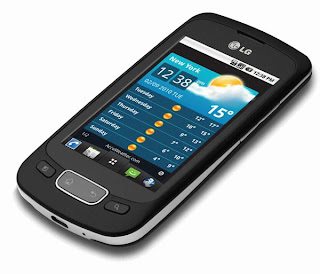 All new LG Cosmos Touch Smartphone has options for directly uploading images to MySpace, Facebook and other social networks.The smartphone also features applications like VZ Navigator capable, Mobile IM, Social Beat and Mobile Email, and voice command support. Tags:-Verizon LG Cosmos Touch Smartphone release date, Verizon LG Cosmos Touch Smartphone price, Verizon LG Cosmos Touch Smartphone price details, Verizon LG Cosmos Touch Smartphone specifications, Verizon LG Cosmos Touch Smartphone features, Verizon LG Cosmos Touch Smartphone details. 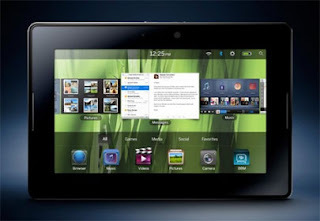 Onkyo well Known Japanese manufacturer recently made the official announcement about its latest tablet, named Onkyo TW317A7.The new Onkyo TW317A7 Tablet runs on Windows 7 Home Premium OS.The Tablet is expected to hit Japanese market by end this week for a price tag of about $680. The new Onkyo TW317A7 tablet comes equipped with a 11.6-inch touchscreen display with 1366 x 768 pixel resolution along with multitouch support and is powered with Intel's 1.66GHz Atom N450 processor.The tablet packs 2GB RAM 32GB SSD Drive for storage. New Onkyo TW317A7 tablet Features 1.3 megapixel webcam, Wi-Fi, Bluetooth, card reader, two USB 2.0 ports, and stereo speakers.New Onkyo Windows 7 Tablet weighs 1kg and its dimensions are 295 x 195 x 14 mm. 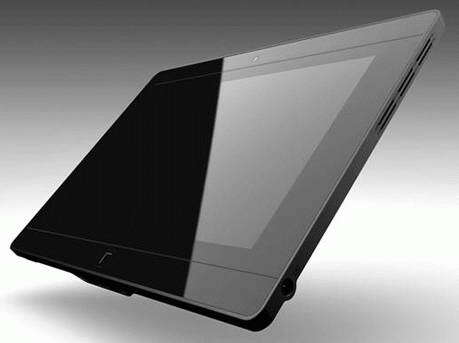 Tags:-Onkyo Windows 7 Tablet, Onkyo Windows 7 Tablet details, Onkyo Windows 7 Tablet specs, Onkyo Windows 7 Tablet release, Onkyo Windows 7 Tablet features, Onkyo Windows 7 Tablet specifications, Onkyo TW317A7 Tablet images, Onkyo Windows 7 Tablet price, Onkyo TW317A7 Tablet price tag. AT&T recently started the sale of its all new Motorola Smartphone, named Motorola Bravo.The new Motorola Bravo smartphone is now available for a price tag of $129.99 with 2-year contract or priced $429 without contract. All new Motorola Bravo smartphone comes equipped with a 3.7-inch touchscreen display with resolution of 854 x 480 pixels and is powered with a 800MHz TI OMAP processor.The smartphone Features 3MP camera, Bluetooth 2.1 + EDR, 3G, HSDPA, Wi-Fi, GPS, 512MB in-built memory and a microSD card slot that supports up to 32GB card. New Motorola Bravo smartphone runs on Google Android 2.1 OS with MotoBlur UI.The smartpone housed 1540 mAh Li-Ion battery that capable of providing about 6 hours of talk time and about 16 days standby life.Motorola Bravo smartphone weighs 4.59 ounces and its dimensions are 2.48 x 4.29 x 0.52 inches. Tags:-Motorola Bravo Smartphone, Motorola Bravo Smartphone price, Motorola Bravo Smartphone review, Motorola Bravo Smartphone details, Motorola Bravo Smartphone specs, Motorola Bravo Smartphone via AT&T, AT&T Motorola Bravo Smartphone price tag. Fly mobiles recently introduced a new Dual SIM Phone, named Fly E171 Wi-Fi.The new Fly E171 Wi-Fi handset comes in candybar form factor and supports simultaneous operation in two cellular networks with the aid of two SIM card slots. 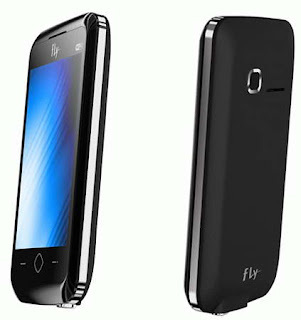 The all new stylish Fly E171 Wi-Fi Dual SIM handset comes equipped with TFT-LCD touchscreen display with 240×400 (WQVGA) pixel resolution and features Wi-Fi, 3.2 megapixel camera also act as a webcam while connecting to computer, Bluetooth 2.0, FM tuner and microSD/microSDHC card slot that capable of support up to 8GB card. 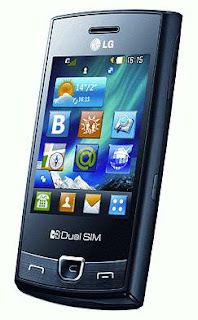 New Fly E171 Wi-Fi Dual SIM Mobile phone is designed to support GSM/GPRS/EDGE 900/1800/1900 or 850/1800/1900MHz networks.The 1000 mAh Li-Ion battery of the handset provides about 3 hours of talk time life. Fly E171 Wi-Fi weighs 95g and its dimensions are 111x54x12.8 mm. The price details of this stylish Fly E171 Wi-Fi handset has not revealed yet. Tags:-Fly E171 Wi-Fi Dual SIM Mobile, Fly E171 Wi-Fi Dual SIM Mobile features, Fly E171 Wi-Fi Dual SIM Mobile details, Fly E171 Wi-Fi Dual SIM Mobile specs, Fly E171 Wi-Fi Dual SIM Mobile preview, Fly E171 Wi-Fi Dual SIM Mobile review. Samsung recently made the availability of its all new Portable Hard drive featuring USB 3.0 interface, named Samsung S2.The new Samsung S2 Portable USB 3.0 HDD now available in European markets with capacities of 500GB, 640GB, 1TB size and is priced at €79, €89 and €125 respectively along with 3 year warranty. The new stylish Samsung S2 Portable HDD with USB 3.0 interface has a data transfer rate of 5Gbps with 7,200 rpm.The portable USB 3.0 HDD features SilentSeek and NoiseGuard technology that reduce noises and Dynamic Balancing technology reduces vibrations.THe other features includes SafetyKey for password, SecretZone to protect important files and data with encryption AES 128-bit or AES 256 bits along with Auto Backup function. 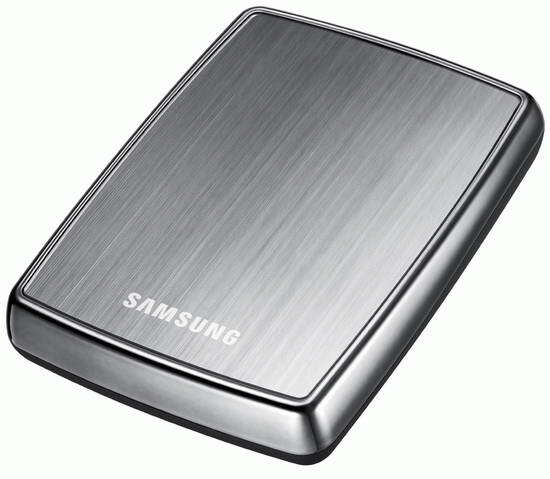 Tags:-Portable USB 3.0 HDD, external USB 3.0 HDD, Portable USB 3.0 HDD from Samsung, Samsung S2 Portable USB 3.0 HDD features, Samsung S2 external USB 3.0 HDD price. 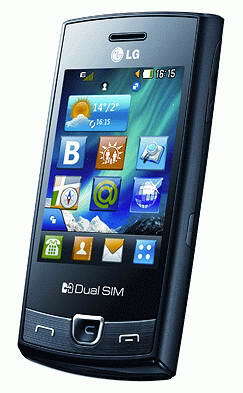 LG on its way to introduce its all new Froyo smartphone, named LG Optimus One Froyo [ LG Optimus One (LG-P500)] soon in Indian market.The new LG Optimus One Froyo Smartphone is expected to hit Indian markets by middle of November for a price tag of 13,000 Indian Rupees($295). 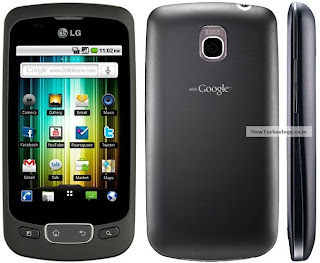 LG Optimus One Froyo Smartphone comes equipped with 3.2-inch HVGA capacitive touchscreen LCD display (320×480) and is expected to be the first smartphone with Google Android 2.2 OS launched in India.The smartphone is powered with a 600MHz Processor. 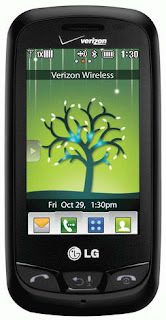 New LG Optimus One Froyo Smartphone Features 3.0MP autofocus camera, Wi-Fi 802.11 b/g, USB 2.0 Hi-Speed, Bluetooth 2.1+EDR, A-GPS, FM Radio, 170MB internal memory and a microSD card slot capable of supporting up to 32GB card. 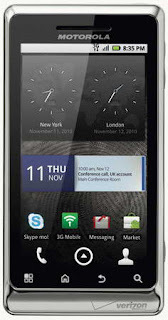 The all new LG Optimus One smartphone houses a 1,500 mAh battery capable of providing 480 minutes (2G) or 450 minutes (3G) of life in talk time and almost 700 hours (2G) or 550 hours (3G) of standby life.The smartphone weighs 129g and its dimensions are 113.5 x 59 x 13.3 mm. Tags:-LG Optimus One Froyo Smartphone price, LG Optimus One Froyo Smartphone india launch, LG Optimus One Froyo Smartphone india price, LG Optimus One Froyo Smartphone india review, LG Optimus One Froyo Smartphone india release date, LG Optimus One Froyo Smartphone launch in india, LG Optimus One Froyo Smartphone features, LG Optimus One Froyo Smartphone detailed specs, LG Optimus One P500 india price, LG Optimus One P500 smartphone launch in india. Acer recently started the sale of its all new AMD-powered Business Notebook, named Acer TravelMate 5542.The new Acer TravelMate 5542 Notebook is now available for a price tag of $549. The New Acer TravelMate 5542 notebook comes equipped with a 15.6-inch LED-backlit display with resolution of 1366 x 768 pixels and is powered with 2.2GHz AMD Athlon II P340 processor.The Notebook houses ATI Radeon HD 4250 graphics card along with 4GB of RAM and 250GB/320GB HDD. New Acer TravelMate 5542 notebook comes pre-loaded with Windows 7 Professional OS and Features 1.3 megapixel Crystal Eye webcam, Wi-Fi 802.11b/g/n, Gigabit Ethernet, DVD writer and 2-in-1 memory card reader. 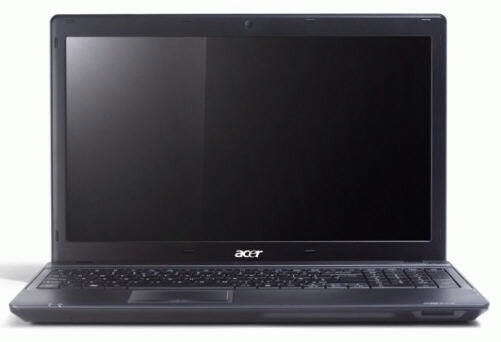 Tags:-Acer TravelMate 5542 notebook features, Acer TravelMate 5542 notebook price, Acer TravelMate 5542 notebook details, Acer TravelMate 5542 notebook price tag. 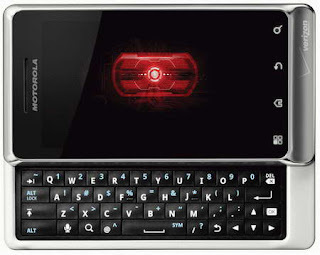 Motorola recently made out the official announcement of their new samrtphone that belongs to the Droid line-up, named Motorola Droid 2 GLOBAL.The new Motorola Droid 2 Global smartphone now available on Verizon's Web site for a price tag of $199.99. The new Motorola Droid 2 Global smartphone comes equipped with a 3.7-inch touchscreen display with resolution of 480 x 854 pixel (FWVGA) and is powered with a 1.2GHz TI OMAP3630-1200 processor which is an upgrade considering the 1GHz TI OMAP3620-1000 processor in Motorola Droid 2 smartphone. New Motorola Droid 2 Global smartphone Features 5 megapixel autofocus camera with dual LED flash, 480 x 720 pixel video recording, QWERTY keyboard, Wi-Fi 802.11b/g/n, Bluetooth 2.1 EDR, GPS, DLNA, 8GB internal memory and a microSD card slot with 8GB card included (supports a maximum of 32GB Card). 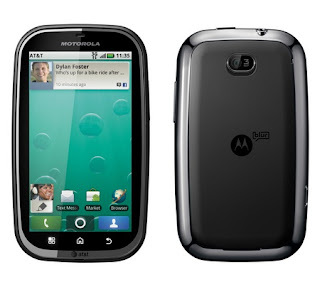 The Motorola Droid 2 Global smartphone runs on Google Android 2.2 Froyo OS and provides a Global network support including CDMA EV-DO Rev. A 800/1900 MHz, GSM/GPRS/EDGE 850/900/1800/1900 MHz and UMTS/HSDPA 850/1900/2100 MHz cellular networks. The all new Motorola Droid 2 Global smartphone has 3G Mobile Hotspot capability ie the smartphone can connect and share between five WiFi-enabled devices at the same time.The smartphone houses a 1420 mAh battery capable of providing up to 8.3 hours of talk time life and 230 hours of life standby mode.Droid 2 Global smartphone weighs 169g and its dimensions are 60.5 x 116.3 x 13.7 mm. Tags:-Motorola Droid 2 Global smartphone price, Motorola Droid 2 Global smartphone price details, Motorola Droid 2 Global smartphone availability, Motorola Droid 2 Global smartphone verizon price, Motorola Droid 2 Global smartphone launch, Motorola Droid 2 Global smartphone review, Motorola Droid 2 Global smartphone details, Motorola Droid 2 Global smartphone specs, Motorola Droid 2 Global smartphone features, Motorola Droid 2 Global smartphone price tag, Motorola Droid 2 Global smartphone hit market details. 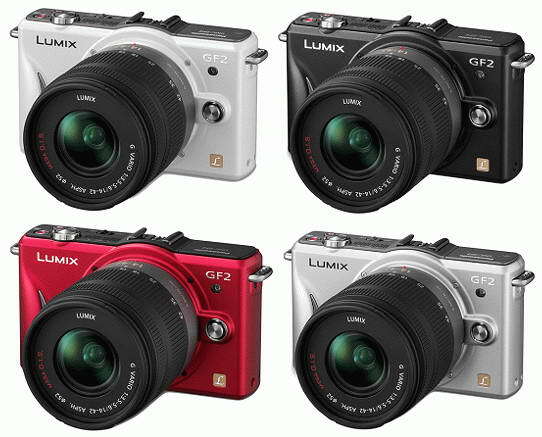 Panasonic recently made the official announcement about their plan to made the availability of this all new Micro Four Thirds camera, named Panasonic Lumix DMC-GF2 by early next year ie January 2011.The new Panasonic Lumix DMC-GF2 camera is said to be Panasonic’s smallest and lightest interchangeable lens system camera till date and featuring a built-in flash system. 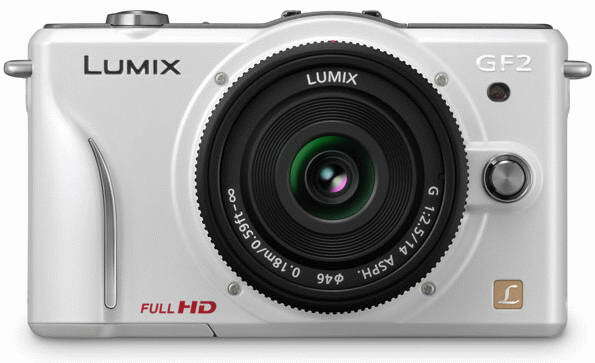 The new Panasonic Lumix DMC-GF2 camera comes equipped with a 3-inch touchscreen with new Touch Q UI and Features 12.1 megapixel Live MOS sensor, Venus Engine FHD image processing, Optical Image Stabilizer, Face Detection, Intelligent D-range Control along with an Intelligent Scene Selector and Dust Reduction System. Panasonic Lumix DMC-GF2 camera has a 60-1/4000 shutter speed, ISO 100-6400, and is compatible with 3D Lumix G 12.5mm F12 interchangeable lens.The Panasonic Lumix DMC-GF2 camera has a video capture ability of 1920 x 1080 (60i) or 1280 x 720 (60p) pixel in AVCHD and is capable of taking pictures at 3.2 frames per second rate in sequential mode. All new upcoming Panasonic Lumix DMC-GF2 interchangeable camera comes bundled with either a 14mm F2.5 pancake kit lens or a 14-42mm zoom lens.The battery of the camera has a life time for taking up to 300 shots.The smallest and lightest camera has a dimension of about 118 x 70 x 35 mm. Tags:-Panasonic Lumix DMC-GF2 interchangeable camera features, Panasonic Lumix DMC-GF2 interchangeable camera details, Panasonic Lumix DMC-GF2 interchangeable camera launch, Panasonic Lumix DMC-GF2 interchangeable camera specs, Panasonic Lumix DMC-GF2 interchangeable camera details, Panasonic Lumix DMC-GF2 interchangeable camera review, Panasonic Lumix DMC-GF2 interchangeable camera shades, Panasonic Lumix interchangeable camera, Panasonic lightest interchangeable camera, Panasonic smallest interchangeable camera.